Krill oil is a supplemental source of powerful antioxidants, omega-3 fatty acids and phosholipids derived from tiny crustaceans harvested largely in the Southern Ocean waters of the Antarctic. Krill oil proponents claim that it is essentially a superior form of omega-3s. Krill contain a rather unique reddish antioxidant called astaxanthin, and they’re also rich in phospholipids, which help emulsify fatty acids and enhance their absorption and retention. Krill oil has been evaluated in other health conditions as well. The results of those studies have generally been positive and, in a roundabout way, can be applied to what we currently know about heart disease. Be forewarned: Krill oil can be quite expensive. The real question is how much you’ll need to take to derive the same benefits as I’ve reported here. If you need a lower dosage, such as 500 mg, then it can be relatively affordable. But some users may require larger quantities (2-3 grams a day). The best deals I’ve found are available online and often cost approximately $15 – $20 for 60 softgels. I think at that price, it’s certainly worth a shot for anyone who might benefit from it. I also think that KO may be an attractive alternative, because krill softgels are typically smaller in size and have a milder aroma. I didn’t know about the krill oil. My mom is not yet a thyroid cancer survivor, I’ll tell her about your article. I think you meant to post this on the original krill oil comment thread. The latest news on krill oil – it effectively lowers an endocannabinoid (2-arachidonoylglycerol or 2-AG) which is associated with metabolic syndrome and overweight. A 2 gram/day dosage of (Aker) krill oil significantly lowered 2-AG levels whereas fish oil and olive oil did not. Great news? Not so fast: To cite the full text of the trial: “in the present study no significant differences in lipid metabolism, body weight or metabolic syndrome parameters were detected among the 3 groups of dietary treatments . Therefore, the hypothesis that KO-induced reduction of plasma 2-AG levels may result in an amelioration of the metabolic dysfunctions associated with overweight and obesity will require further investigation. Even though the results of this study are promising, at best, it’s important to give “props” to Aker for financing the research and allowing open access to the full text of the study. Very helpful and informative indeed. I would much appreciate if you could provide me the link to read the rearch study referenced by your footnote (11) above. a) The DHA & EPA dosage wasn’t large enough in the fish oil group. b) The krill oil used in this study contained a significantly smaller amount of astaxanthin – as compared to the krill oil used in other studies which reported a decline in inflammatory markers. I take it that if I was your sister you would advise me to take Krill oil as opposed to Fish Oil? I told him that I had read the benefits on your info page. He was very interested. I’m sorry for the delay in my response. We’re prepping for a major trade show and my juggling skills aren’t always perfect. Here’s my best advice about fish oil vs. krill oil: I think krill oil is worth trying if you can afford it and/or if you have a hard time taking higher dosages of fish oil – due to cost or digestive issues. Unfortunately, there’s still a lot of uncertainty about how well krill oil functions in a real world setting. On the other hand, fish oil is more predictable. One of the ideas I’ll be proposing at this year’s ExpoWest is a practical method to help clear up some of the questions that reasonably exist about krill oil. It doesn’t surprise me that your doctor was unfamiliar with krill oil. It’s still isn’t on many allopathic radars. But I’m happy to know that your doctor was at least interested in learning more about it. A good sign indeed. I would like to get krill oil caps to see if my total cholesterol is down in late September. I have my lipid profile then my diet does not include meat or foods high in Saturated fats…however it is familial and I am allergic to statins. If it were me: I would look for a krill oil supplement that contains about 300 mg of omega 3s, 400 mg of phospholipids and at least 1.5 mg of astaxanthin per gram. One to two grams per day would likely be a good starting point. On the diet front, I’d emphasize lots of fiber rich foods: cocoa powder, nuts/seeds and tea. Also, lots of non-starchy fruits and vegetables – avocados, (some) berries, cruciferous and green leafy veggies. I am wondering what krill oil you are currently taking? Presently, I’m not taking krill oil. I use a concentrated, purified fish oil and a variety of other supplements. 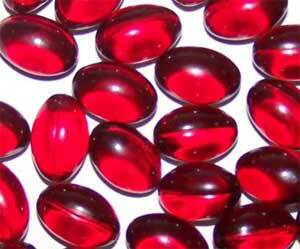 On occasion, I still recommend krill oil (usually with added astaxanthin) to some clients who don’t tolerate fish oil well or who prefer to take smaller soft gels. I hope all is well with you too! Yes, it has been a while! My family and I are doing so well. It seems that aging out of the hormonal roller coaster was the trick for emotional well-being. Anyway, I recently learned my cholesterol numbers are pretty bad. I am at 308 for total. LDL is at 222, and HDL, just 47. Triglycerides are also high, at 197. Weight is ideal and BP is good. I recently had a doctor tell me to eat oats every day and to eat salmon 3x a week to lower my numbers. I started with the oats a couple of weeks ago and added a fish oil supplement, too. The fish oil is NOW brand’s Molecularly Distilled Super Omega EPA. I take 2 softgels a day that provide 720 mg EPA and 480 mg DHA and was planning to check my numbers again in a couple of months. I thought we needed the Krill for the phospholipids/choline. What are you doing for that now? Fondly remembering the krill detective days . I’m happy to hear that you and your family are doing well! Good news about your blood pressure and weight. This is really, really important. As you know, I’m not a doctor. But, in general, high triglycerides and low-ish HDL are often improved by making certain changes in diet and lifestyle. Eating more fatty fish and omega-3′s, lowering carbohydrates and increasing (whole food) fiber intake usually modulate the HDL/triglyceride ratio in a positive manner – in addition to lowering LDL cholesterol. And, in particular, the type of LDL cholesterol. The highly dense variety of LDL cholesterol are likely to be more dangerous. The larger, “fluffier” form of LDL cholesterol do not appear to be of much concern – according to some cardiovascular experts such as Dr. Stephen Sinatra. Fish oil supplementation has been shown to lower high-triglycerides. This is true of over-the-counter and prescription forms of fish oil. Low carbohydrate diets can likewise lowers triglycerides. LCDs often elevate HDL cholesterol as well. And, if the LCD favors monounsaturated fats (such as extra virgin olive oil, nuts), omega-3′s and whole foods (such as non-starchy vegetables and low-glycemic fruits), it tends to improve the overall lipid profile. Choline and phospholipids are, indeed, valuable. I get them primarily from pastured eggs and grass-fed meat. Even plant-based sources of choline contribute to the cause such as broccoli and cauliflower. I eat plenty of those! Additionally, exercise, sleep hygiene and stress management are essential to cardiovascular and overall health. For instance, a lower-carb whole-food based diet (Mediterranean or “Paleo”) and lifestyle is likely to be (IMO) a much more powerful “medication” than most actual medications used to reduce cardiovascular risk. Not sure what your diet and lifestyle is like. But, oats (whole unrefined oats) and (hopefully wild Alaskan) salmon are just the start. A good start, but maybe not enough. I remember those days fondly too. 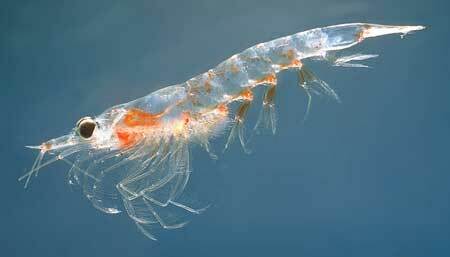 I just feel let down by the lack of reliability of the krill oil research. And, I’ve voiced that to all involved.